The round of the last four at the tennis tournament in Miami is imminent. Next Friday, d. March 29, the American John Isner meets the Canadian Felix Auger-Aliassime. It is a duel of generations. 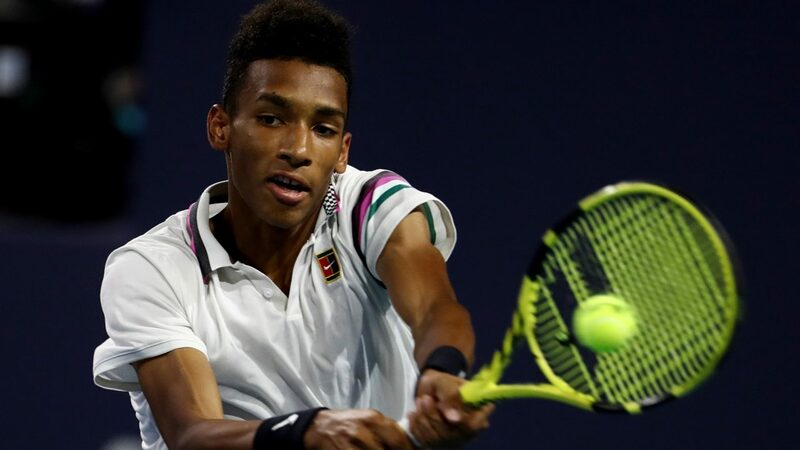 While Isner already has some tournament experience at the age of 33, the Canadian Auger-Aliassime, at the age of 18, is still at the very beginning of his career. Both players never met on the tour. The 2.08m giant has not suffered a setback in the tournament so far, but all games were extremely close. In the round of the last 64 he prevailed against the Italian Lorenzo Sonego with 7: 6, 7: 6. In the following round of the last 32, the match was similarly close. At the end, Isner won against Spaniard Albert Ramos 7: 5, 7: 6. In the round of 16, the American got to deal with the No. 19 set British Kyle Edmund. Again, the match went over two sets, which he won in the tie-break. But who thought Isner had enough of the tie-break, he was wrong. In the quarter-finals, he had again ran against a Spaniard. This time it was Roberto Bautista-Agut, ranked # 22, who defeated Novak Djokovic in the second round. After a tough fight stood on the scoreboard 7: 6, 7: 6 for Isner. He wrote as many as 25 aces in this match. Also in the previous encounters his serve was trump. 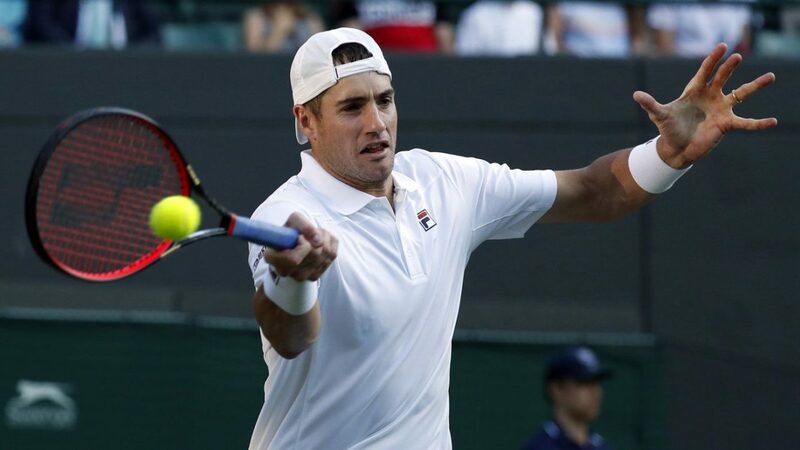 No fewer than 16 aces per match illustrate how strongly Isner benefits from his first serve. A hard, placed serve on a hard court is half the battle for a player to enforce his serve game. He is currently ninth in the world rankings. The young Canadian had to intervene in this tournament already a round earlier in the action than a competitor from the United States. In the first round he defeated the Norwegian Casper Ruud after a 3-set thriller with 3: 6, 6: 1, 6: 2. In the second round Auger-Aliassime had to go over three sets again. This time against the Hungarian Marton Fucsovics (placed at No. 29). In the subsequent round of the last 32, he prevailed against the Pole in two sets (7: 6, 6: 4). With the exact same result he went in the subsequent round of the last sixteen as a winner from the square. The opponent was No. 17 placed Maltese Nikolos Bassilaschwilli. In the quarterfinal, it came to a duel with the Croat Borna Coric. Again, Felix Auger-Aliassime was able to leave the court winning 7: 6, 6: 2. This makes Auger-Aliassime the youngest semi-finalist in the history of the tournament. With the victory over Coric moved Auger Aliassime but now for the first time in the semifinals in a 1000er. For most experts and bookmakers, the American is the favorite in this game. First, the current form speaks for him. John Isner has now won ten consecutive games in Miami (and at the predecessor tournament in Key Biscaine). An impressive performance. A major selling point in his game is his serve game. Due to its size, it has a high point from where it can set the serve hard and precise. 79 aces in four games speak for themselves. The young Canadian Auger-Aliassime currently plays in a very good shape. For him it will be important to get the first serve of his opponent under control. In the end, John Isner will prevail but in two sentences.